Recycling is a good first step in reducing landfill waste, and river clean-up efforts help restore natural habitats. But can reclaimed waste be considered anything more than garbage? This summer visual art students enrolled in “Sculpture & the Waste Stream” are going to find out. For three weeks this June, Associate professor Matt Burke and visiting Free State Festival artist, Aurora Robson, will lead students through an intensive sustainable sculpture course. 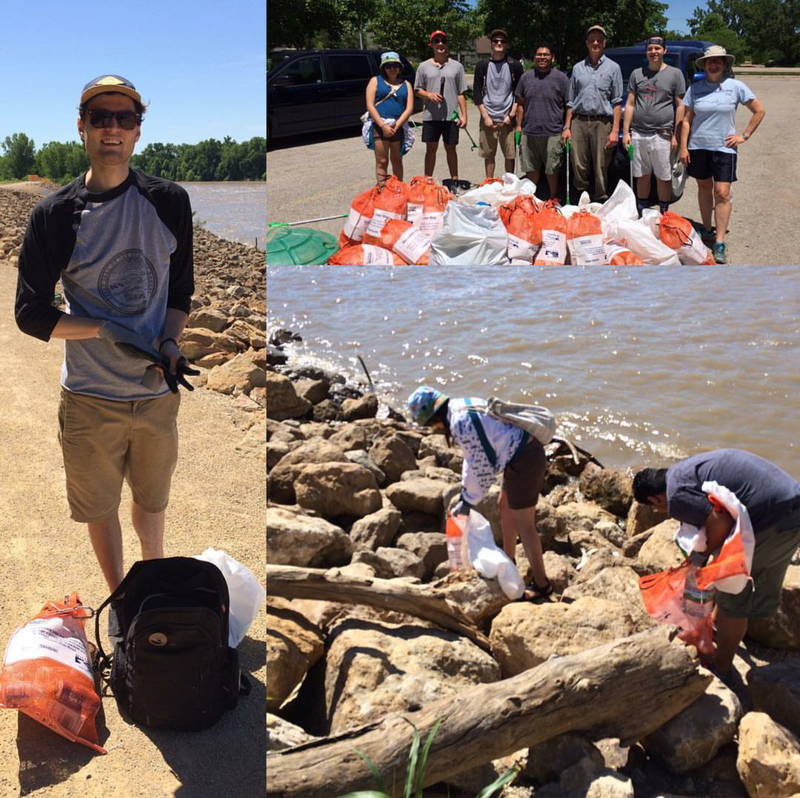 The students will kick-off the semester with a Kaw River clean-up and a visit to the local recycling center. Students will spend the first of class gathering and cleaning several hundred pounds of garbage in order to clean it up, assemble it, and apply a finish on their sculptural forms. Each student will create a finished work that can’t be confused with garbage. The course culminates in a pop-up exhibition in conjunction with the Lawrence Arts Center’s Free State Festival at the Lawrence Public Library on June 24. All of the student work will be available to purchase with proceeds benefiting the Friends of the Kaw. Robson is an innovative artist whose work combines meticulous technique, eye-catching aesthetics and a healthy dose of environmental activism. Learn more at aurorarobson.com.